You are here: Home / Climate / Why should we believe anything James Hansen says? 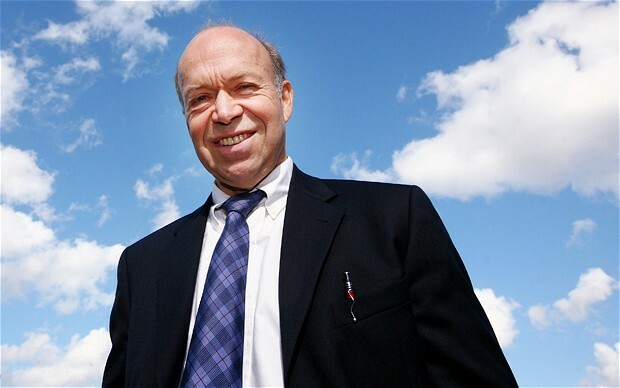 Why should we believe anything James Hansen says? So there you have it. From the horse’s mouth. Recent heat waves can only be attributed to climate change, a top US scientist has warned. James Hansen, who cautioned of the dangers of climate change as long ago as 1988, said the deadly European heat wave of 2003, the Russian heat wave of 2010 and the catastrophic droughts in Texas and Oklahoma last year could all be linked to climate change. He predicted the same would also be true of the hot summer the US is currently experiencing. Dr Hansen, director of the NASA Goddard Institute for Space Studies, reached his conclusions after he and his colleagues analysed the past 60 years of global temperatures. The Telegraph doesn’t bother to look for any alternative viewpoint, merely parroting what Hansen says with no critical questioning or thought. It’s left to the blogosphere to provide that. The ABC does much the same, including rehashing the Richard Muller “conversion” non-story, just in case you missed it the first time (unlikely if you rely on ABC for your news). But in any case, why should we believe anything Hansen says in the first place? This is a person whose activism has completely swamped any vestige of impartial scientific enquiry, even going so far as to get himself arrested four times at environmental demonstrations. How can Hansen be relied upon to provide unbiased scientific conclusions in such circumstances? What would happen if Hansen were to be confronted with evidence that challenges his entrenched position? Would he come out publicly and say it or simply post it down the memory hole because it doesn’t fit the agenda? You decide. In reality, I suppose we should be glad that Hansen is out there making this kind of noise. Every exaggerated claim gradually chips away at the credibility of The Cause. And the eagerness with which the mainstream media regurgitated the story with barely a second thought (with notable exceptions) shows how out of touch they are with reality. Considering the IPCC range goes from reasonable to virtually impossible and the known figures of temperature/CO2 show a very clear relationship, although everyone is allowed to live in their own worlds outside collective reality whoever they are, doesn’t the fact his personal estimates, based on an alternative physics not known in this universe, exceed all others by about 1000% raise any doubts or questions with anyone besides the small community of realists? The claims he makes defy all of Newton’s laws and require heat to be generated from a hitherto unknown source, and the ocean to wait a century or more before it suddenly starts evaporating. Without these two phenomena his claims can’t happen. As water evaporates at a steady rate in all circumstances and CO2 has been shown to reduce its power with concentration he is either insane or a criminal, and the system has no business allowing his deluded dross out into the public arena as it has already destroyed the reputation of science for at least a generation. At least Al Gore has an excuse being a politician but Hansen is held up as mainstream. Another NWO / UN loving buffoon. It is 10am and have just put another log on the fire as freezing cold with drizzly rain in SA…. oops I forgot that is only weather, but does not weather make climate, or is it climate that makes weather….. Dammit you can never find a climate scientist when you need one to up the heat ! He is not even a “thinking mans idiot”. Anyone who believes him is a fool, this clown stated that the earths seas would boil dry because of our co2 emissions. Any scientist who says that is a goose, co2 can’t raise the earths temperature, it doesn’t produce heat, in theory it can only slightly slow cooling and thus only raise “the daily average temperature”. What a tool he is but more so those who believe him. What happened to Hansen’s Southern Hemisphere data? Conveniently left out as it didn’t fit the outcome I suspect. I understand that the Pope made an anounchment that God very likely exists but his anouncement was over shadowed by Hansens much more important anouncement. I can link a battleship to a party balloon but that won’t fly either!